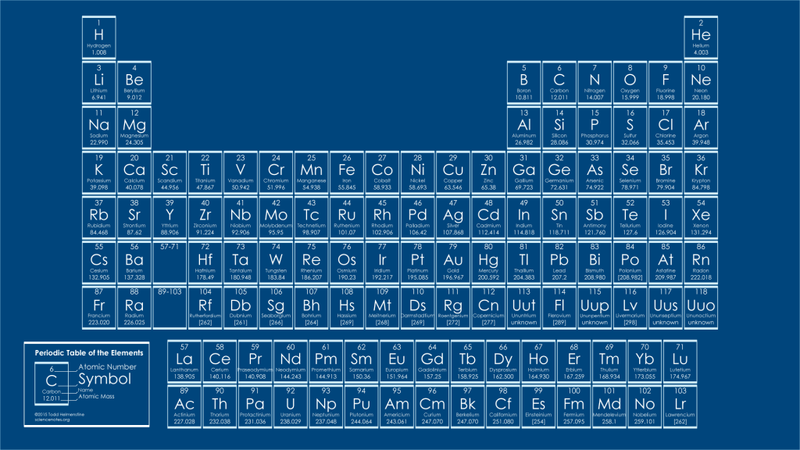 This periodic table wallpaper is more like a periodic table blueprint. The background is a blueprint blue and the table’s cells and text are white and light blue to give the appearance of a typical blueprint. The small legend in the lower left hand corner shows how each element’s atomic number, symbol, name and atomic mass is represented. This wallpaper is 1920×1080 and suitable for any widescreen HD screen. Click the image above to view the full-sized wallpaper.